Dr. Edwin Vieira, author of The Sword and Sovereignty, was on the Power Hour with Joyce Riley on July 28, 2014, and provided an excellent and concise explanation of “a well-regulated Militia,” with reference to the United States and its Constitution. The double jeopardy “loophole” is this; that where the accused is acquitted of a state crime, he/she is then tried for the same federal crime, and vice-versa. The original intent of the Bill of Rights was to only limit the newly-created federal government, and not the States. Then, subsequent to the American Civil War, parts of the Bill of Rights have been progressively incorporated against the States. 1) Most of the States already had similar bills. 2) A federal Bill of Rights would be used to federalize the application of the Bill of Rights, which could lead to bad decisions applying to the entire country and subvert the federal design of the government, with the States sovereign within their respective jurisdictions. Therefore, by original design, this “loophole” wasn’t a loophole because the federal government understood that it had no power to define and prosecute crimes that were completely within the exclusive jurisdiction of the States. Where it became a problem and a loophole, was when the federal government stepped beyond its constitutional bounds and defined crimes that it had no valid constitutional basis for doing so. The few and defined federal crimes in the Constitution are treason, piracy, counterfeiting and crimes against the laws of nations. I don’t share the view of some that Congress had no power to define additional laws. This gave Congress the power to define any crimes it wanted that would apply to this District. Outside of that District, I argue that Congress still has the power to define additional crimes. For example, crimes relating to its power to coin money. And we see from the 1792 Coinage Act, that death was the penalty for debasing the currency. The mention of “other high Crimes” implies that Congress can define and punish other “high Crimes”, not only within the District, but outside, because of the mention of “all civil Officers”. But, the restriction upon defining new crimes is whether it relates to what is “necessary and proper” for carrying out Congress’ 18 enumerated powers. Therefore, federal “crimes” relating to cross-state drug “offences”, cross-state “terrorism” “offences”, etc., are completely invalid, and this is where the double jeopardy loophole applies. How to deal with the federal government going beyond its constitutional boundaries in defining and punishing non-crimes? The States should nullify them by preventing state officials from providing any support or co-operation for the prosecution of these federal non-crimes. On the August 25, 2013 episode of Exposing Faux Capitalism with Jason Erb on Truth Frequency Radio, I interviewed Dr. Peter Duesberg. Hour 1: Interview with Dr. Peter Duesberg, the most prominent critic of the 20+-year AIDS scam. See here for the edited archive for this interview. Hour 2: Constitutional credit, redefinition of usury, payday lender criminal interest charges under colour of law. I arranged the July 31, 2012 interview with Dennis Marker, author of Fifteen Steps to Corporate Feudalism, on Dr. Stan Monteith’s Radio Liberty (available for a limited time). Dr. Stan differed with Marker on several points, as I do, including his use of the word democracy instead of republic, and his support for federal government spending beyond its originalist constitutional boundaries. Overall, Dr. Stan agreed with most of Marker’s points, as I do. For my July 15, 2012 interview with Marker, see here. I previously arranged interviews for Dr. Walter Block and Dr. Peter Duesberg. 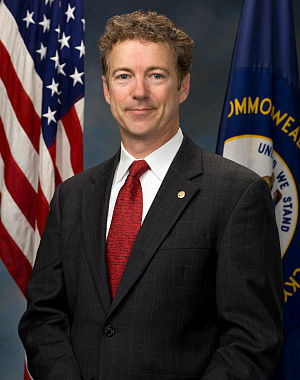 Senator Rand Paul’s June 7, 2012 endorsement of Mitt Romney for President in 2012 came as no surprise to me, as I predicted as far back as 2009 that he wouldn’t be a constitutional candidate for the U.S. Senate, and my unpopular prediction was further vindicated with this endorsement, so why are so many others surprised by his decision? On December 31, 2010, I wrote the article, The U.S. Senate regularly violates the law, about my shocking discovery that U.S. Senators were regularly conducting business and passing legislation without the constitutionally mandated quorum of a majority of Senators in order to conduct business. “If Rand doesn’t know about that requirement and his duty regarding it, then he’s already no constitutional candidate in my books. If you read his words carefully, there is the possibility that it was a clever attempt to fool “law and order” conservatives into voting for him, so long as he has accepted being a one-term Senator in actually standing for the Constitution in this matter. Dr. Edwin Vieira, who is touted in the libertarian community as a constitutional authority on money and is a holder of four degrees — including a PhD and JD from Harvard — should know better about what the U.S. Constitution says about legal tender. From the context of the entire clause, it is clear that it is saying what is prohibited to the States. Therefore, to say that they shall not make anything but gold and silver coin a tender in payment of debts is to say that if they choose to exercise their power of enacting legal tender laws, then they are required to make only gold and silver coins a tender in payment of debts. The same clause allows restricts the States from imposing duties on imports and exports, unless they have the permission of Congress. Therefore, if they do have such permission, then they can do what is permitted, and in the case of legal tender laws, they are permitted to enact them, and then and only then are they required to make gold and silver coin a tender in payment of debts. I give a further analysis of this clause in my article, The U.S. Constitution doesn’t say money should be gold or silver coin.